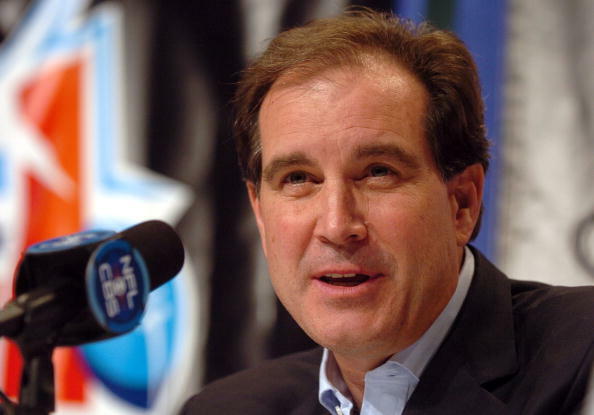 In 1986, a 26-year-old Jim Nantz sat down and readied for one of the biggest moments of his career. Nantz, only in his second year with CBS, was getting his first crack at a burgeoning new sports dynamo in the NCAA Tournament. The game was expected to be a blowout, featuring the powerhouse Duke Blue Devils and upstart Old Dominion Monarchs. For the evening, Nantz was paired with Bill Raftery. Duke won 89-61 but ultimately, the larger story was behind the press table. Nantz began his run of 30 consecutive NCAA March Madness tournaments which stretches to the present day. In 2015, Nantz will be reunited with Raftery behind the mic, not having called any games together since that first year. For any college basketball fan, Raftery has become a staple for his enthusiasm during games and trademark “ONIONS!” call after a huge shot. His style is unmistakable, making for one of the better broadcasters of this generation. Raftery allows you to believe you know him through the television, the man you could sit at a bar with and talk shop. It’s a rare gift. Raftery enters the tourney unsure how to compare his radio experience on the final weekend to going on television with Nantz, and partner Grant Hill, who is also calling his first Final Four. Since 2000, Raftery had been working the tournament for CBS with partner Verne Lundquist. Lundquist, who has called every tournament since CBS acquired the rights in 1982, will have a new partner in Jim Spanarkel this year while Raftery goes to the top team. Despite losing a familiar face next to him, Lundquist is confident his new partnership will be terrific while sharing joy for his old one. This is the fifth year that CBS Sports and Turner Sports have partnered on the broadcasting of March Madness, giving every game full exposure. All of the contests can be seen on either CBS, TruTV, TNT or TBS. Raftery and Nantz will be joined by Hill, giving them the former player dynamic which CBS has used over the past decade with Clark Kellogg and Greg Anthony. However, with Kellogg in the studio and Anthony suspended indefinitely following his solicitation of a prostitute in January, Hill is getting a promotion. After broadcasting his first NCAA Tournament in 2014 as a studio analyst, Hill gets the ultimate call.